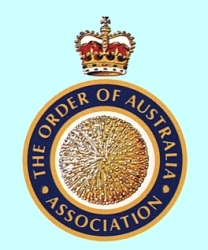 The Order of Australia Association will conduct a Multifaith Celebration at the Alan Scott Theatre, Uni SA at the Western Campus, North Terrace on Sunday 6 November at 2:30pm. The theme of the celebration is Living Faiths: Compassion in Action. This is a Multifaith Event. There will be a Multifaith Celebration in Allan Scott Theatre, North Terrace, Adelaide, commencing at 2:30 pm. The Governor and Lieutenant-Governor will be attending. There will be participation from about 8 different faiths. The theme of the celebration is Living Faiths, Compassion in Action! All Welcome: People of all faiths, families and friends are warmly invited. Uncle Lewis O’Brien AO will give the Welcome to Country offering a Coolamon of Eucalyptus Leaves – a symbol of healing in Aboriginal Culture.